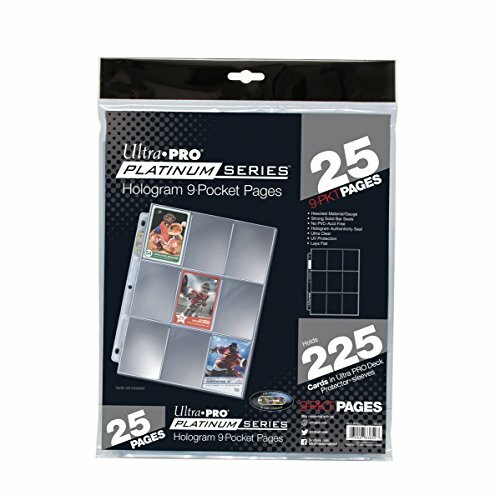 25-Count Ultra PRO Silver Series Pages in Nine-Pocket style. Holds standard sized cards with 2-1/2" X 3-1/2" dimensions or smaller. Archival quality pages that are Acid-Free and no PVC. Toploading. Each page has a Hologram quality seal on the spine. Made in the USA. Legal Disclaimer: Comes with 30 ! !